Financial regrets are like the bad boyfriend your parents warned you about, but you couldn't see it until it was too late. Here's how to get ahead of these money mistakes. Could have, should have, would have: We all have regrets in life, but none have quite the emotional sting of financial regrets. Why? Money enables us to live more comfortable lives, and when we make a mistake it’s almost impossible to “fix” without going out and earning more money. Also, since many financial decisions are made independently, there’s often no one else to blame but ourselves. Thankfully, we don’t all have to make the same mistakes — now’s your chance to learn from the experts. While con artists may forge checks and open credit cards in a victim’s name, others will simply ask for money to invest in a new business venture that never goes anywhere, or to pay bills. Individuals who may be especially vulnerable include those who have recently been divorced or widowed. People have to be more attuned to the new friendships they’re forming, Garber explains. “If your friends and family comment negatively on the relationship or ask what this new person might be after, that’s a red flag,” she says. When in doubt, ask trusted loved ones who have known you for 20 years or more what they think. “Sometimes we have to put our feelings aside and listen to things we don’t want to hear,” Garber says. Homeownership is one of the best ways to generate wealth for the future, and it’s an excellent hedge against inflation, Sioukas says. “In a normal economy, if you don’t buy, you’re going to regret it. When you look back at how much you’ve spent on rent or how much the home you passed up has appreciated, that’s when you’re going to feel the pain.” In addition to lost money, there’s the intangible benefit of pride of ownership, and the relief of not having the looming fear of “What if the landlord raises the rent?” he says. There’s no doubt that homeownership isn’t an option for everyone, dependent upon income and debt situations. But buying a home may be more accessible than you think — In many cases, you don’t have to put a full 20% down, and your financial planner may be able to put you on a savings path to homeownership that you’ll reach quicker than you think. According to a recent study by Prudential, the average 2016 college graduate left school with $37,172 in student loans, nearly triple the average two decades earlier. The study showed that 44% of graduates with student debt wish they’d saved more, 34% wish they’d worked more to pay for college and 22% wish they’d chosen a more affordable school. As if the debt weren’t bad enough, two-thirds of graduates reported that their debt is an emotional burden that makes them frustrated, anxious, sad or angry when they think about what they spent. 44% of graduates with student debt wish they’d saved more, 34% wish they’d worked more to pay for college and 22% wish they’d chosen a more affordable school. Thankfully, the study also looked at ways to alleviate these concerns. Some options include taking a job during school (such as an on-campus position or a position through your school’s work-study program), working full-time during the summer, getting on a budget, seeing a financial advisor and educating yourself via free resources such as the U.S. Department of Education’s Federal Student Aid Office. 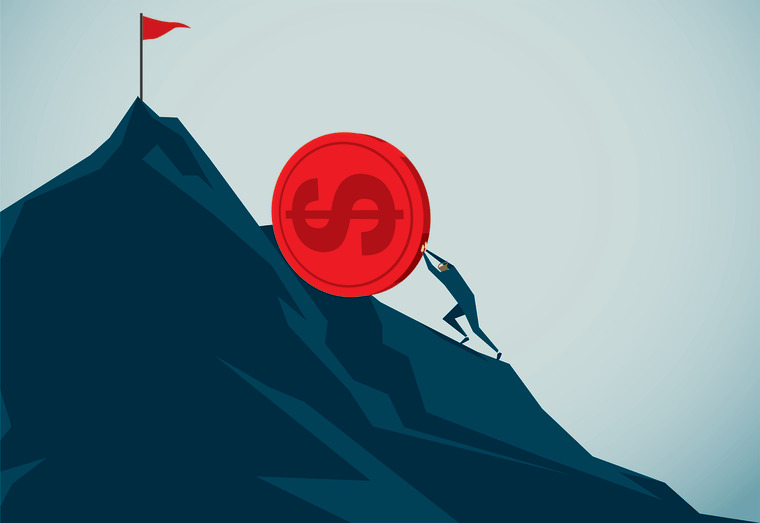 The power of time in compounding earnings from investments is frequently underestimated, says Dodee Crockett, a Dallas-based Merrill Lynch financial advisor. “The result is often that more working years are needed to meet the financial goals for family support and a comfortable retirement,” she says. Barriers to investing — at any age — include lack of confidence and education, which go hand in hand, Crockett says. A new Merrill Lynch study showed that 41% of women said “not investing more” is their biggest financial regret, and 61% said they’d rather discuss details about their own death than talk about their money. Take the time to educate yourself and meet with a professional, Crockett says. Tax-advantaged savings plans such as IRAs or the 401(k) offered by an employer are some of the easiest ways to invest — you should always take advantage of a company match when it’s offered. When people go through a divorce, the most common refrain is, “I never thought this would happen to me,” Garber says, and as a result, people don’t take steps to protect their assets. “If you place all your assets into a joint account with your partner or buy a house with that person, then it all becomes joint marital property,” Garber explains. “If you get a divorce, the other person can take half, despite never doing anything to earn it.” Unfortunately, many people are afraid to ask their partner for a prenup, as it may be seen as a “cold” move.